April was a busy month for data in Community Insight! We added 8 brand new indicators on housing affordability and updated key monthly and quarterly indicators. To read more about the new indicators check out our blog. The Land Registry data has been updated to show the latest data on average house prices. To see a list of all the datasets available in Community Insight check out this Knowledge Base article. 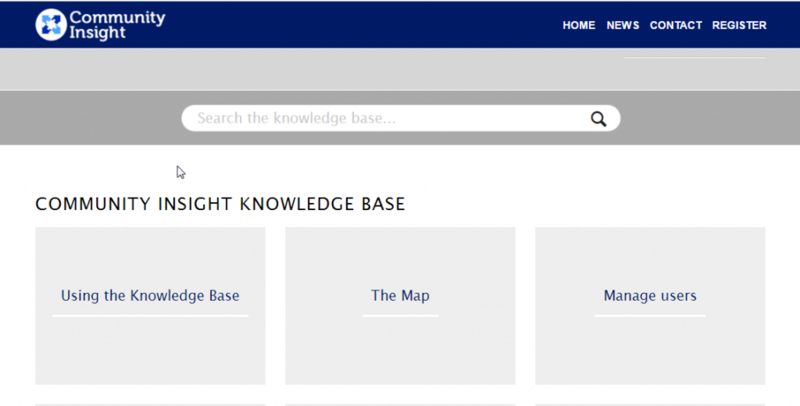 If you have never used the Knowledge Base before, have a look a around here. It can be found by clicking on the support button in the top right hand side of Community Insight. If you have a question about how to use Community Insight, more often than not, the answer can be found in one of the bite sized Knowledge Base articles. Use the search bar to look for specific questions or browse the different sections to learn more about how to get the most out of Community Insight. If the Knowledge Base cannot answer your question or if you have a very specific question, please do not hesitate to get in touch with us on support@ocsi.co.uk or give us a call on 01273 810270.